It’s Sunday already, geez time goes fast! A little to fast if you ask me. As a kid you want time to fly so you can be an adult, then when you’re an adult you just want time to slow down a little so you can accomplish the things you want to. Well today I accomplished one thing I wanted to and I am very happy, more happy after I tasted it and figured out the calories! So this weekend I decided to make Blueberry Lemon Muffins. A take off my Blueberry lemon pancakes. 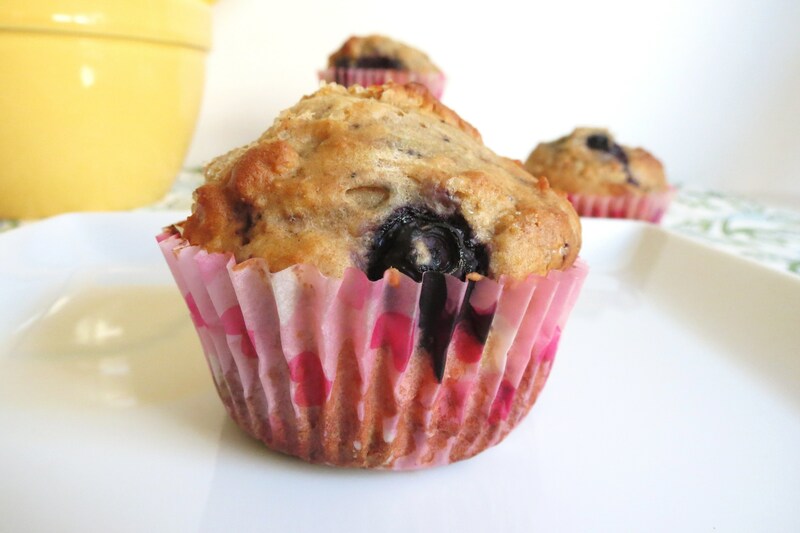 I loved the combination of blueberry and lemon that I just had to make a muffin with those flavors. 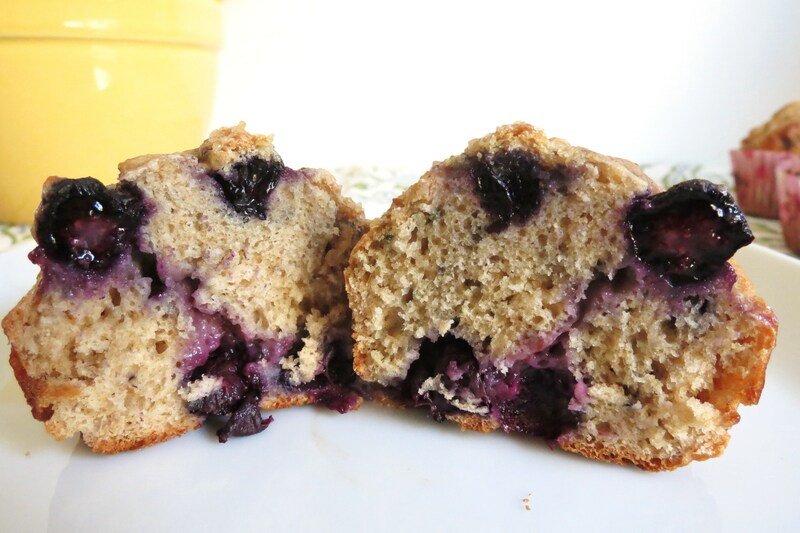 I am so happy with these muffins, there are full of blueberries, and I mean full! 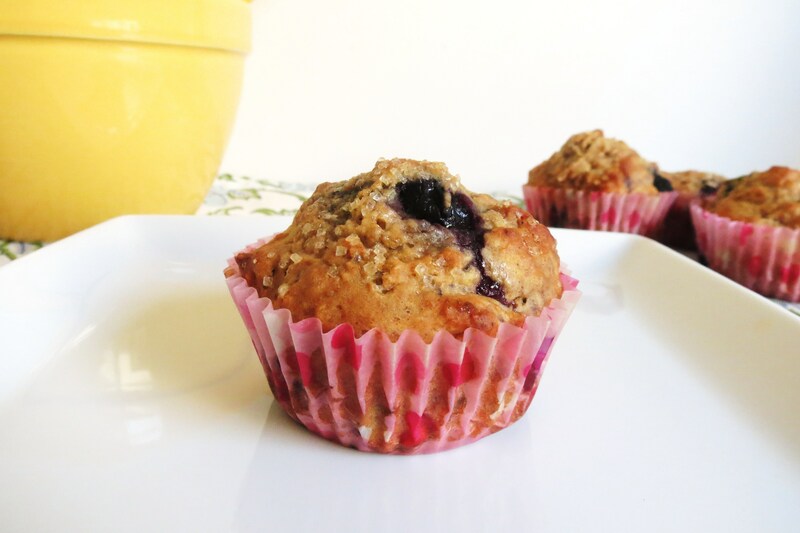 These muffins are low in sugar, low in fat and not to bad on carbs for a muffin. Now if you want a sweeter muffin, add 1/4 to 1/2 cup more sugar to the recipe. For me I’m trying to cut back a little on my sugar intake. I love muffins, but not muffin top over my jeans! So if you have a sweet tooth by all means add more sugar! The calorie count won’t go up that much. Oh and you’re wondering about calories? 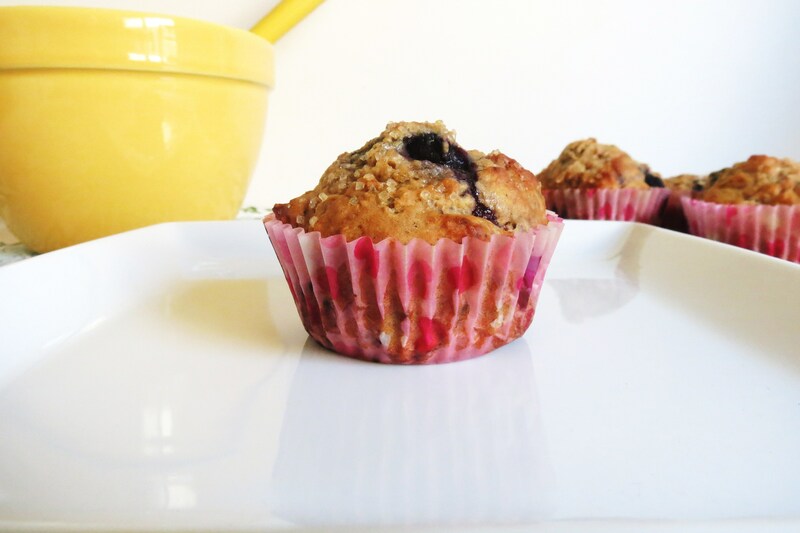 Get this, 85 calories a muffin. Yah! No friggen way! I had to calculate this twice to see if this is correct. I can’t even believe it! talk about guilt free, dam, I’m good, but I never dreamt of being that good!! I now love these muffins even more. I could eat two and not worry about it! Love that, love that, love that!!! So yes, I ate two!! And after looking at my photo’s I’m thinking I want 3. This batch got me 18 muffins. I’m going to freeze half the batch so my Husband and I can take them for breakfast during the work week. I think he will be pleased with them. Have you ever froze a muffin? I place them on a plate in a freezer, then when they freeze I place them in a ziplock bag. I leave them on the counter to defrost, and they taste as good as new. New? That sounds weird, they taste fresh! That’s better! Sometimes I like to pop them in the microwave for about 10 seconds or so, so I can add some butter on them. Nothing like butter melting over a warm muffin. 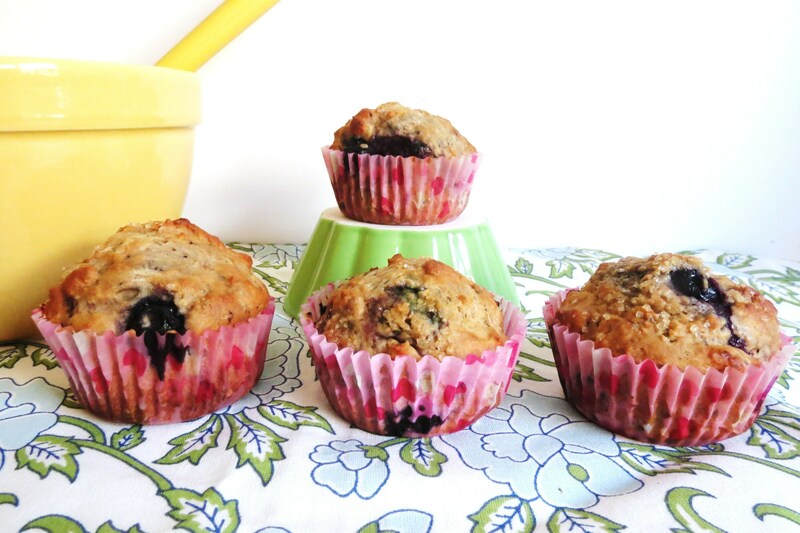 I remember as a kid my Mom used to always make Blueberry Muffins from the box. I used to love the little can of blueberries. Oh and don’t tell my Mom, but I used to stick my finger in the batter. Yum!! 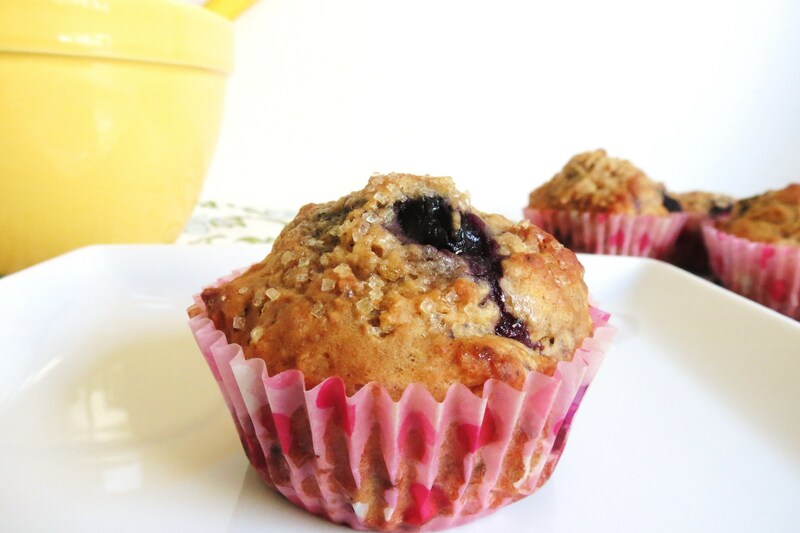 I remember when they came out with the streusel top for the muffins, oh man, pure heaven! Gosh I haven’t had boxed Blueberry Mix in mega years! But between you and me, I prefer homemade. My Husband laughs at me, he always asks when I’m taking photo’s of my food, could you get any closer to the food? I’m like no, everyone needs to see every nook and cranny! He just shakes his head. Funny how we try to make things look perfect, just so we can take a picture of it. I never thought in a million years I would take pictures of food. But then again, I have always been food obsessed. Ask me an event in my life, and I may not remember the event so well, but I always remember what I ate. Line two muffin pans (18 muffins) with paper liners and lightly spray with cooking spray. Combine flours, sugar, baking powder, baking soda, salt and lemon zest in a medium bowl, set a side. In a separate bowl combine the melted butter, apple sauce, eggs, yogurt, milk and vanilla extract. Add to the flour mixture, stirring just until moist. Gently fold in the blueberries. Spoon the batter into 18 muffin tins. Sprinkle Turbinado sugar over the tops of the muffins. Bake for 18-20 minutes, until light golden and toothpick come out clean. NOTES: These are not very sweet muffins, add up to 1/2 cup more sugar for a sweeter muffin. Do not over mix the muffins or they’ll become to dense. There will be lumps in the batter. The batter for these muffins is thick. I used an ice cream scoop and then flattened them out with my finger. I filled the muffin cups almost all the way to the top. I also used organic frozen blueberries from Trader Joe’s. These were the fattest blueberries ever! Makes for great muffins!! I hope you enjoyed today’s muffins, I’m really glad I made them! They are easy, tasty and healthy! All the things I love!! Have a lovely rest of the weekend! Mmm – those look INCREDIBLE!! I have some extra blueberries laying around, I may just need to use them for this! 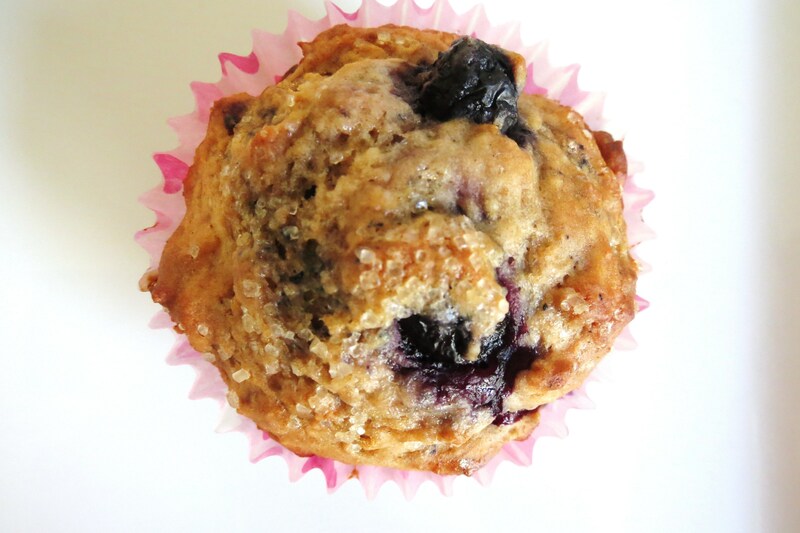 What beautiful muffins!And only 85 calories? Wow! 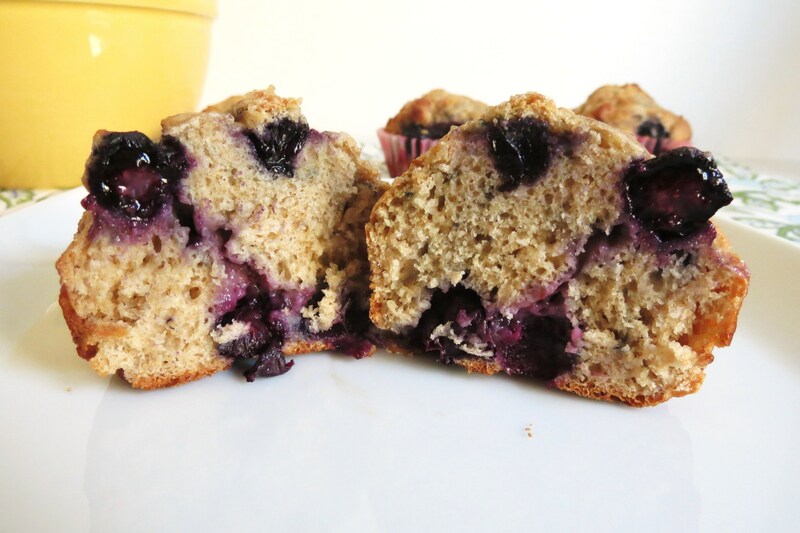 The combo of blueberry + lemon has got to be just perfect in these and they look so moist. 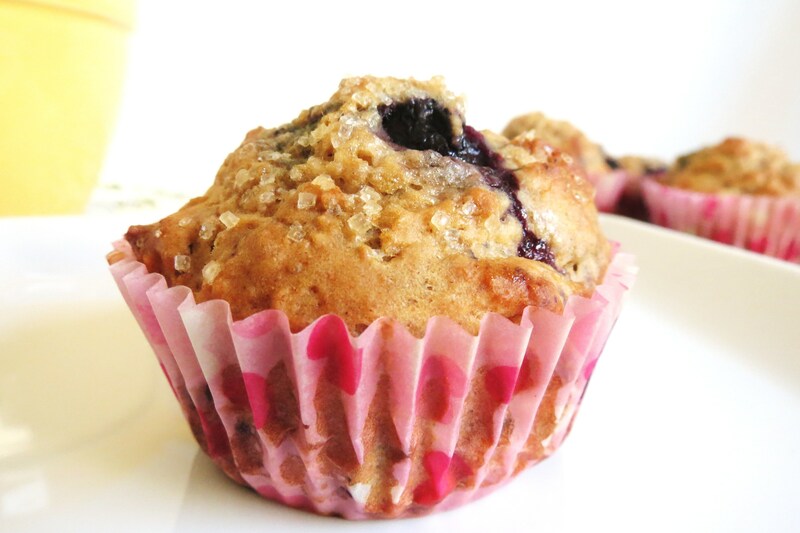 Love a moist muffin, warm from the oven…mmmmm! Blueberry and lemon pair so well. Love this muffin. Yah lemon and Blueberry is my new favorite combination!! It’s so good together!! Mmm, these look wonderful! Lovely flavor combination! And I can relate – I am so behind! Are these full sized or the mini muffins? My muffin pans are 6 or 12 large or 24 mini. Haven’t ever seen a 9 serving muffin pan. These are full size normal muffins. I used a 12 muffin pan, and I used another muffin pan for the remaining batter. Great muffin! Even my teenage son liked them ( he just grabbed extras on his way through the kitchen) and he isn’t a big fan of “healthy” baked goods. Thanks for the lemon-blueberry goodness!